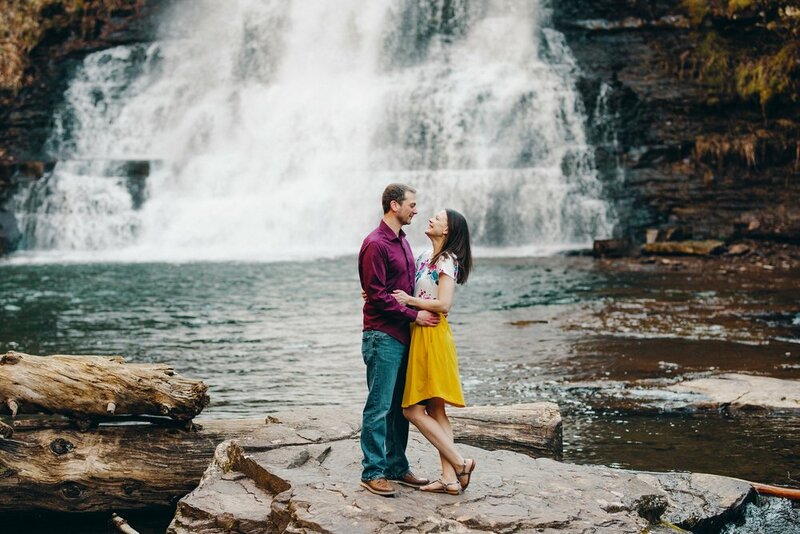 Picking an engagement session location is always hard. There are so many factors to consider but one of my go-to recommendations is to pick somewhere that’s sentimental to you. Whether it’s in a special city such as your hometown, or the location of your first “I Love You”, make it unique to you. However, sometimes an epic location isn’t always available and that’s okay too, I can make magic wherever we are. Laura and I went back and forth on where to take these photos and she told me that Dustin actually proposed at Niagara Falls - SO COOL. 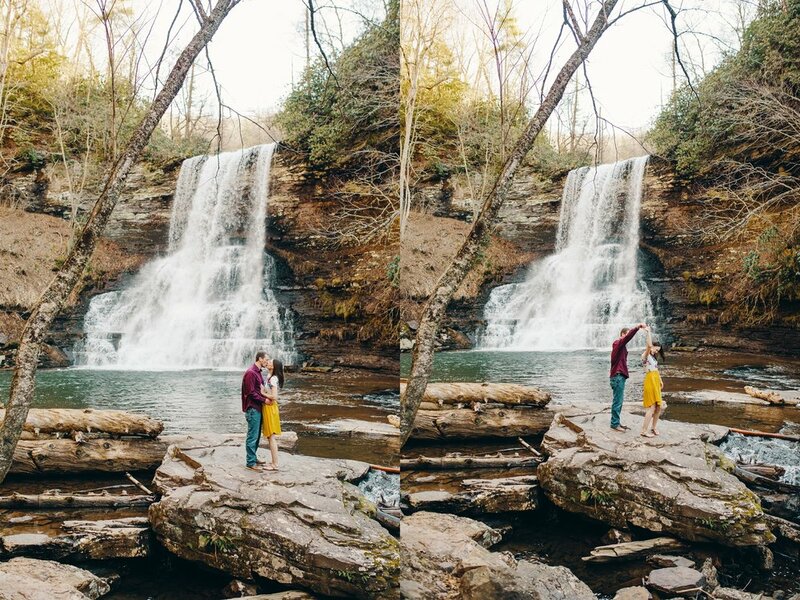 We knew we couldn’t go there but then I realized that Virginia has our own little version of Niagara. Although I haven’t been to The Cascades in over 10 years, I could never forget the beauty of this spot no matter how many years pass. When I mentioned this idea, she told me this was their first date together.. PERFECT. Now, if you’ve never been to The Cascades, it’s a bit of a hike: 2 miles in, 2 miles out. I didn’t mind if they didn’t (at the time) and it would be the perfect time to get to know them and their story! Well, as life has it, the week before their session I broke my toe and got into a car accident. Yes, both separate events. But I knew we just had to go for it. I woke up at 4am, drove 3 hours from Charlotte, bundled up - it was 30 degrees, hiked those brutal 2 miles in and boy, WAS IT WORTH IT. 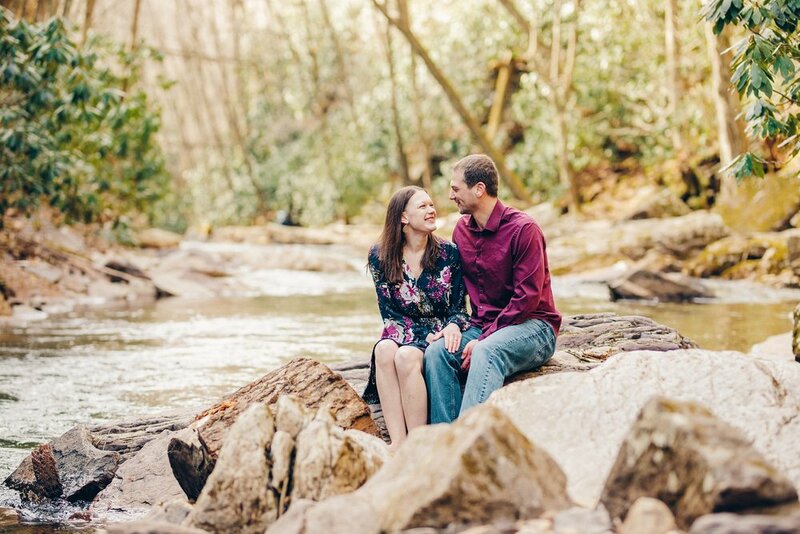 These are some of my favorite engagement photos ever and only half of it had to do with the scenery. Laura & Dustin were so giggly and the cold helped keep them cuddled together the whole time. Their chemistry was undeniable but what was more amazing was how I barely had to coax it out of them! 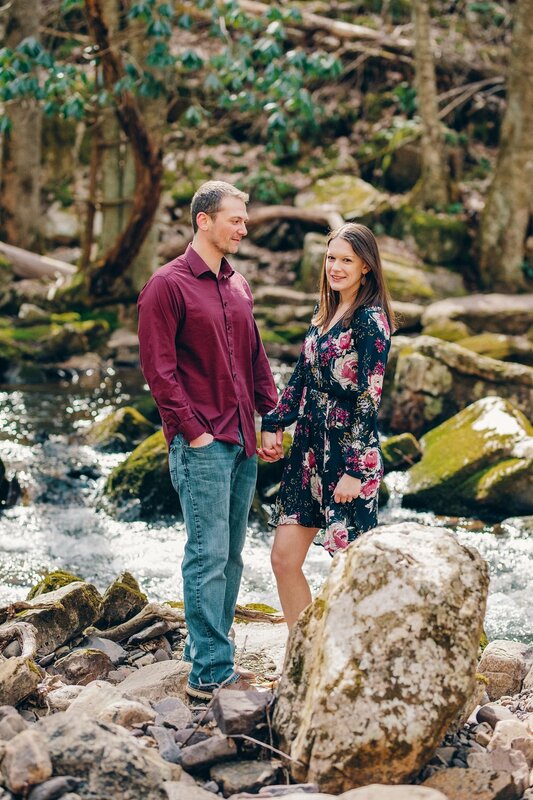 Whether they truly are natural models or they just wanted to behave and get it over with (and get back to the warmth) I’m one thankful photographer. 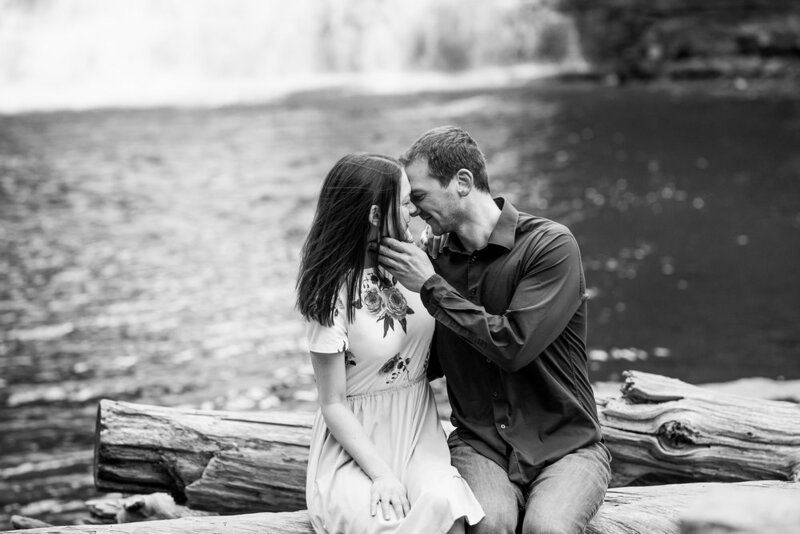 Take a peak at a few of my favorites from our Cascades Waterfall engagement session!